100 years ago today, on June 28, 1914 the shots that ushered in the disaster of the twentieth century were fired in Sarajevo by a Bosnian Serb, Gavrilo Princip at the Archduke Franz Ferdinand and his wife. I need not go through all the subsequent events that eventually led to the First World War which, in turn, led to the collapse of the Austro-Hungarian and Ottoman Empires, and of Europe in general, pushed Britain and the British Empire closer to the bankruptcy and dissolution of the second half of the century and unleashed the two most evil ideologies of history: Nazism and Communism. Just out of interest here is a link to The British Newspaper Archive that shows the coverage the Archduke's assassination received in British papers. The second act of the century's tragedy is also commemorated today. 95 years ago, on June 28, 1919 the Versailles Treaty was signed and many of the century's tragedies was unleashed then. Certainly, in the Middle East we are still dealing with the outcome and no solution seems to be in sight. Barbarossa Day. The German invasion of the Soviet Union begins. Not of Russia or of what was then Ukraine but of the Soviet Union or, in other words, eastern Poland that the Red Army had invaded in 1939. Did Hitler make a mistake by the invasion itself? It did not look like it at first as the Wehrmacht rolled ahead and Stalin and his gang were caught "unawares" despite the many warnings. Nevertheless, it was his big mistake or, to be precise, the conduct of the war in the east was. Tory Historian has been ignoring THAT anniversary though THAT date (of THOSE shots) is coming. 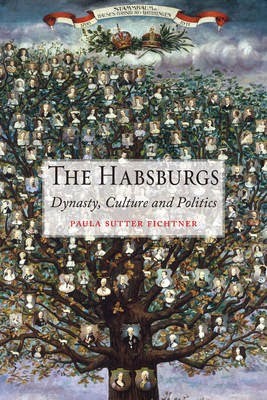 However, the time has come, TH thinks to read something around the subject and this new book about the Habsburgs by Paula Sutter Fichtner, who has written a great deal on the subject before, seems to be the right way to start. When it comes to place names the subject is fraught with difficulties, with borders and political structures changing all the time and many places having at least two or three legitimate (by some standards) names. Explanations are all very well but one really needs is maps. Lots of maps and, preferably, detailed ones. By leafing through the volume, Tory Historian, a lover of maps, found three maps of Central Europe a. k. a. Habsburg lands in 1250, 1570 and c. 1815. They are not very detailed but they are maps and they give a reasonable idea of what the region looked like at three crucial periods. Eventually, TH found where the maps are listed; well, not listed exactly but their source indicated: right at the end, after the list of illustrations (numerically but not by page numbers) and before an indication of the source for several excellent family trees, also necessary if you want to follow the vagaries of the dynasty. Not too bad for modern publishing. Could be better but at least there are some maps. People seem to be interested in E. R. Punshon, a shamefully neglected writer of the Golden Age period and beyond. He was not in the top bracket though interesting and popular enough in his day. Let's face it, too many of those writers, male and female, have been forgotten for no good reason. Readers of classic detective fiction will be very glad to be able to get hold of more than just novels by the "four Queens", good though they are. Martin Edwards, quoted on this blog once before, is a source of information about "forgotten" books. Last week he wrote about a Punshon book I has not heard before, Dictator's Way, and his description intrigued me, not least because it seemed to raise the perennial question as to whether GAD (Golden Age Detective) writers are particularly conservative in their outlook. This blog has maintained consistently that detective fiction is in itself a "conservative" art not because its practitioners necessarily support the Conservative Party or even the existing political and social structures but because the very idea of finding individual human life important enough for its destruction to be seen as inherently wrong and in need of investigation as well as some sort of punishment is conservative. Punshon had liberal/leftish political views, and takes the opportunity to show his contempt for Hitler, Mussolini and Oswald Mosley in the course of a story dealing scathingly with the so-called "Redeemer" of Etruria. 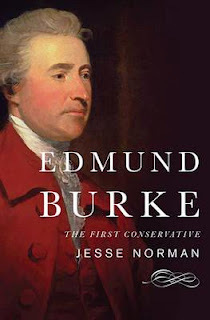 This political perspective gives the book spice, and also gives the lie to the often repeated but false claim that Golden Age writers were just a bunch of cosy reactionaries. Why have so many otherwise sensible people made such a claim? I suspect it's because, for the most part, the really successful Golden Age writers were conservative in outlook, although I'd describe some of them at least as questioning conservatives. I disagreed with that statement immediately (well, one would hardly expect me to do otherwise) and pointed out that the listed dictators (or wannabe dictators as in the case of Mosley) were radical, statist and socialist in their outlook; a conservative, thus, would feel nothing but enmity and contempt for them. Hitler and Mussolini came to power or held on to power through revolutionary means (despite those elections in Germany in 1932 and 1933), changing the political and constitutional structures of their countries as well as attempting to change the social ones. In this they did not succeed nearly as well as their contemporary Joseph Stalin did but none of them can be called conservative or reactionary. By the time Dictator's Way was written (late 1937 or early 1938 as the book came out in 1938) Mosley had put himself outside the political establishment and the couple of disdainful references to him in the book sum up quite well the general attitude towards him. The Labour Party and the trade unions, on the other hand, were by this time an integral part of that establishment and it was hardly radical to support them. I took the book out of London Library, a great repository of GAD literature, and found it as well written and entertaining as Punshon's other books though as badly proof-read, a perennial complaint. It is, however, somewhat odd in plot and structure. The hero is, as so often, Bobby Owen, a scion of a noble family whom he tries to avoid and to keep hidden and a Detective Sergeant in Scotland Yard. In this book he meets the woman who will be his wife and, to some extent, co-investigator, Olive Farrar. Incidentally, a quick look at some later Bobby Owen novels reveals that although he is still a Detective Sergeant in 1939 by 1948 he reaches the position of Acting Deputy Chief Commissioner. And people say that John Appleby had a remarkable career. Dictator's Way, a clever pun of a title, falls into two unequal parts. The first and the longer one appears to be a straightforward detective story. Bobby has a free afternoon and is planning to go to Lord's to watch some cricket but is waylaid by another and far more obnoxious scion of the aristocracy who tells him some incoherent story of possible wrong-doing that he wants sorted but not made public. As a consequence, Bobby misses Wally Hammond's batting and wanders off to have a look at Dictator's Way, place of the possible (or, as the police think, probable) wrongdoings. Here he finds a semi-wild park, a house that is part empty and part luxuriously furnished, a few rather curious indications of possible crime, a well-known heavy called Clarence who seems to be unusually afraid of the police and a rather extraordinary girl, who turns out to be Olive. It is, of course, understood in GAD novels that all Scotland Yard officers knew all London criminals, their history and present whereabouts. Uniform branches knew merely the criminals of their area. That worked both ways: the criminals knew all the police officers, too. Then Bobby finds a dead body and the investigation is led mostly by Superintendent Ulyett who is not particularly bright at this stage with the help of other police officers who seem to be on the stupid and self-satisfied side and Bobby who is bright and observant as well as managing to be on the scene whenever he is needed. The shorter second part turns into a Buchanesque thriller and events, though not the language, speed up. There are strange goings on in Olive's cottage; a car and motorcycle chase through the dark; hysterical outbursts from Olive, who is given to announcing that tens of thousands of men, women and children are killed all the time so one more will not matter; a kidnapping (Bobby's); a chase and gun battle in the sea and a murder confession that surprises nobody. We also find out a good deal more about Etrurian politics first from Bobby who seems to be very knowledgeable and then from the confessed murderer who is also the leader of the Etrurian opposition in Britain, an able, charismatic but fanatical individual. The Redeemer is a very nasty piece of works but, despite his friendship with Hitler and Mussolini, somewhat old-fashioned in that there seems to be no ideology and he prefers to suppress trade unions to co-opting them, a far more sensible procedure. The people are oppressed and unhappy and ready to rise; even the army and the navy are planning to join them. The Redeemer's opponents are jolly nice chaps (if, on occasion, fanatical) but he persists in smearing them by calling them Communist. It is noticeable that Punshon, in his references to dictators, tyrants and totalitarian states means Hitler, Mussolini and his buddies, not Stalin or the Soviet Union. Communists, explains the confessed murderer and charismatic leader, are not all that different from the English Chartists. Well, I don't know. 1937 and 1938 were the years of two huge show trials and the ever widening Great Terror that saw the imprisonment, torture, murder and exile of millions. These were also the years in which Stalin's opponents in the West were kidnapped and murdered and non-Communist fighters on the Republican side were as likely to be killed by Soviet agents as by Franco's. I suppose the Chartists never came to power but, somehow, I do not think they were anything like the Communists. The discussions about Etruria, Olive's hysteria (she gets over it by the end) and Bobby's reluctant admiration for the charismatic leader and confessed murderer shake somewhat his assumption in the need for law and order and wrongness of murder. After all, the victim, an agent of the Redeemer worked for the oppression of Etrurians who would like to have the sort of rights and liberties one enjoys in Britain. Before he can solve the conundrum, the sea chase is over, the yacht puts in a Scottish harbour and Bobby, after a rest, speeds down to London where there are a couple of red herrings to be disposed of before there is a second murder, the victim being First Murderer. Well, the man had to be got rid of somehow and it would have been altogether too radical to send him back to Etruria, there to exercise his capable charisma and fanaticism as the new leader. Bobby spots the vital clue and Second Murderer is confronted just as the newsboy shouts that there is an uprising in Etruria, the Redeemer has been shot together with anyone who did not change sides fast enough and the Etrurian People's Party has taken power. Stricken by his conscience and by the fact of the regime change in Etruria, Second Murderer also confesses and explains many hitherto incomprehensible matters. He does not, however, explain how it is that First Murderer, otherwise the Redeemer's greatest enemy whom his agents have never managed to get, should suddenly have turned himself into an easy target. And that might be that except for the fact that there is another thematic and political twist.We watch with amusement Etrurians rapidly changing sides and announcing that they always knew the Redeemer was a Tyrant to the accompaniment of sardonic comments by Superintendent Ulyett who, at one point, likens those people to the Liberals about whom one cannot be sure whether they turned Tory or are really Labour. Second Murderer is tried and condemned on his confession. The sentence is then commuted and he is quietly released because the information he has on the Secret Services of the remaining totalitarian states (no, still not the Soviet Union) is valuable enough to Britain, the Dominions and the United States whither he departs to help the government. This is the sort of cynical but practical accommodation we shall get used to in later spy thrillers but here there is an added twist. There is no question but the authorities and with them our heroes as well as the author, having played around with amoral ideas in the name of politics, feel that this is really the domain of those foreigners and the sooner they can be got rid of one way or another the better. Let them get passionate about politics in their own home countries. In 1937 or 1938 such an attitude can be described as wishful thinking and highly conservative wishful thinking at that. 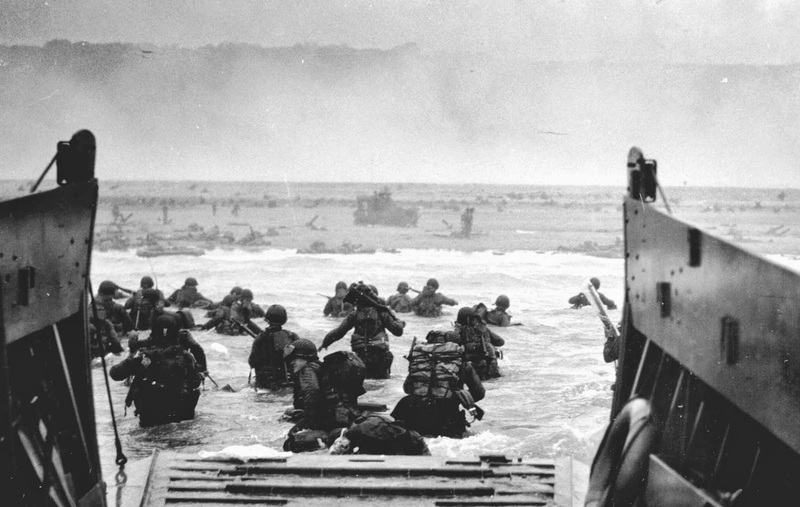 The greatest sea-borne invasion force sets out to liberate western Europe from Nazi occupation. 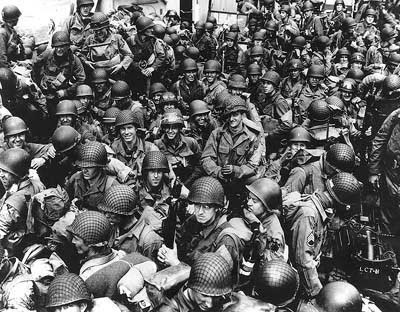 "Soldiers, Sailors and Airmen of the Allied Expeditionary Force! You are about to embark upon a great crusade, toward which we have striven these many months. The eyes of the world are upon you. The hopes and prayers of liberty loving people everywhere march with you. In company with our brave Allies and brothers in arms on other fronts, you will bring about the destruction of the German war machine, the elimination of Nazi tyranny over the oppressed peoples of Europe, and security for ourselves in a free world. "Your task will not be an easy one. Your enemy is well trained, well equipped and battle hardened, he will fight savagely. "But this is the year 1944! Much has happened since the Nazi triumphs of 1940-41. The United Nations have inflicted upon the Germans great defeats, in open battle, man to man. Our air offensive has seriously reduced their strength in the air and their capacity to wage war on the ground. Our home fronts have given us an overwhelming superiority in weapons and munitions of war, and placed at our disposal great reserves of trained fighting men. The tide has turned! The free men of the world are marching together to victory! "I have full confidence in your courage, devotion to duty and skill in battle. We will accept nothing less than full victory! "Good Luck! And let us all beseech the blessings of Almighty God upon this great and noble undertaking." — Gen Dwight D. Eisenhower, 6 June 1944.
Review copies of two books have been received, both seem interesting and will, in due course, be written about. One is by Timothy Heppell, called The Tories and subtitled From Winston Churchill to David Cameron, "a comprehensive and accessible study of the electoral strategies, governing approaches and ideological thought of the British Conservative Party from Winston Churchill to David Cameron". This is not, perhaps, the most exciting of all topics and the book is academic in its language and approach but it has the makings of an important study. The other one appears to me to be more interesting: A State of Play by Steven Fielding is subtitled British Politics on Screen, Stage and Page from Anthony Trollope to The Thick of It. According to the Wikipedia entry, this "sets out the constructivist view that how individuals view politics is constructed by fictional works about politics". There is a good deal to that and I am not sure that is a particularly constructivist point of view. I also think Steven Fielding's website is of some interest. Now all I have to do is read them and review them. The history of food in its various aspects is of great interest (or ought to be) to anyone who finds social history of importance. I have no desire to argue about the relative importance of political, diplomatic, social or economic history as they all contribute to our knowledge and understanding of the societies we study. The idea that there is something inferior or, heaven forfend, unmasculine about social history has always puzzled me, especially when I think about such luminaries as Thomas Babington Macaulay or G. M. Trevelyan. 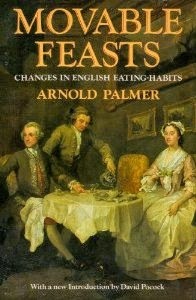 The book I have just finished is of a lesser breed: it is called Movable Feasts by Arnold Palmer and deals with the changing times of various meals, especially breakfast and dinner and with the slow introduction of lunch or luncheon (originally nuncheon) and afternoon tea into the timetable. The book, written and published in the fifties is charming and often informative but suffers from that playful coyness that we can find in a good many books on food of that period despite the efforts of such writers as Elizabeth David, Patience Gray and others. There are, however, some interesting facts culled from letters, diaries and works of fiction from the 1780s to the First World War in the way the timing of various meals moved, sometimes later, sometimes earlier. As the author explains, mostly his account is of the aristocracy and the gentry, with some interpolation of city gents and businessmen because, on the whole, we know more about them (though, as it happens, the timetable of working classes, farmers and even farm labourers is not unknown). The book was reprinted in 1984 with an introduction by David Pocock that consisted of some comments about post-fifties eating habits and possible future developments. We can always assume that any predictions for the future are going to be wrong and Mr Pocock's are no exception. How could he possibly have known the interest in more traditional food, the growth of local food shops and of farmers' markets and, on the other hand, the development of luxury and complex convenience foods? One cannot really blame him for that. What I did find slightly odd was the information he received from his Mass-Observation correspondents on which he based his own observations. Because these were observations sent in by various individuals they could never give an adequate picture but they are strange, nevertheless. According to these observations, people had stopped eating lunch, subsisting on a diet of tea and biscuits. The seventies and eighties were the heyday of the big business lunches but, presumably, people who indulged in them did not send in reports to Mass-Observations. But even people who were not in the business lunch category must recall the sandwich shops and their queues, the boxes of packed lunch that one took to work and the cups of soup one bought from various shops. Lunch at one's desk did not consist of nothing but biscuits. It consisted of sandwiches, maybe salads, soup, tea or coffee and it was eaten at the desk in order to have time to do something else when going out for a lunch break. Mr Pocock also talks of the demise of the afternoon tea. While it rarely exists in its full glory at people's homes, it never really died out in various hotels and restaurants. In the last couple of decades it has had a great revival with every hotel, restaurant, cafe, especially museum cafes competing with each other in the production of afternoon tea (sandwiches, scones and cakes) or cream tea (just scones with jam and cream) plus a far greater variety of beverages than our ancestors could imagine. It is Mr Palmer in the main body of the book who mentions another disappearance, that of muffins. They were not to be found anywhere in the British Isles in his day. Well he would be pleased now: muffins are available in every bakery and every supermarket. Their return was, I suspect, via the American brunch in which "English muffins" play an integral part. Predictions are always difficult and should not really be indulged in by people who write about history; they should know that the past does not predict the future and, in any case, when it comes to food, names of meals and their times, the changes in the various centuries have been so great that it would be foolhardy to make a decision what to use as a basis for a prediction. I would have wished fewer references to Henry James and some to Saki, who is a mine of information about lunches in the Edwardian years and who actually has a highly entertaining story called Tea. The story contains several different items of interest. We find out that 4.30 was the sacred hour of tea in all good houses and it usually involved a good deal of silver and porcelain as well as tinkling laughter on the part of the hostess; that even a young lady who was living on her own had tea at that hour but it may well have been a "picnic tea" in the kitchen; most interestingly, though, we find out that such a young lady, though from a good family, who had to work for a living, creating couture hats, could still afford caviare for tea. Or what of Harold Nicolson's delightful essay Edwardian Weekend in his 1926 collection Some People? There could be no doubt in any reader's mind of the importance of afternoon tea or any other meal to the Edwardians. In fact, the only conundrum faced by anyone who read that essay is the possible state of those people's stomachs and livers. Sadly, Arnold Palmer does not refer either to Saki or Nicolson but he culls many interesting bits of information from Dickens (naturally, since it is food), from Fanny Burney, Maria Edgeworth and Jane Austen as well as the tiresome Henry James. He also has several stories of his own childhood memories and of memories of people older than himself who could recall late nineteenth and early twentieth century habits. Undoubtedly, these memories constitute the most amusing part of the book and the most informative. 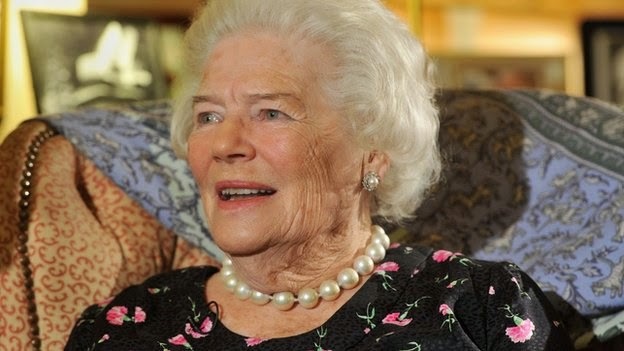 The death of Lady Soames, née Mary Churchill, at the age of 91 has been announced. While she lived to a very good age and achieved a good many things, there is always a slight sadness as the country loses (inevitably) another link with the past, particularly events of the Second World War during which she had a far more interesting time than most members of the ATS as she often accompanied her father on his many trips abroad. She was her father's favourite child and eventually managed to work out a reasonable relationship with her mother about whom she wrote a highly praised book that came out two years after Clementine's death. It can even be said that of all the Churchill children, Mary was the successful one in her life, family and, eventually, writing and public career. The obituary in the Telegraph is all too obviously treading lightly on treacherous ground, historically and politically speaking, while the one in the Guardian is a little more outspoken, particularly on the subject of Sir Christopher Soames's unfortunate stint as the last governor of Southern Rhodesia (now Zimbabwe) and his friendship with Robert Mugabe.